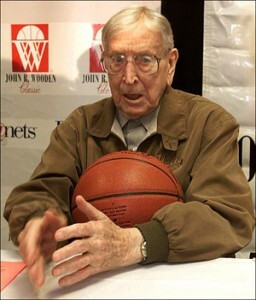 Legendary John Wooden is reported to be gravely ill and is hospitalized. Its very sad to report that this good man has been claimed death and various false reports are buzzing that he is confirmed death. for those who think he is death, let me tell you “He is not DEATH”. UCLA’s Athletic Department says that any reports of him having died are false. I eagerly want to see him back active. Previous: Google Does a Bing!